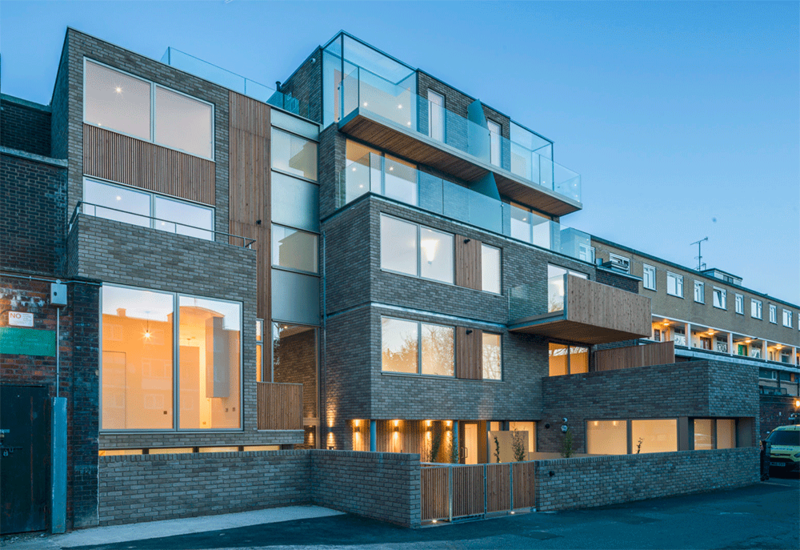 Michael Trentham Architects completed the multi-storey mixed-use development at 252 Wandsworth Road. The building, which accommodates 8 flats, 2 live/works units and 2x commercial spaces, replaces the run down New Portland Arms public house. 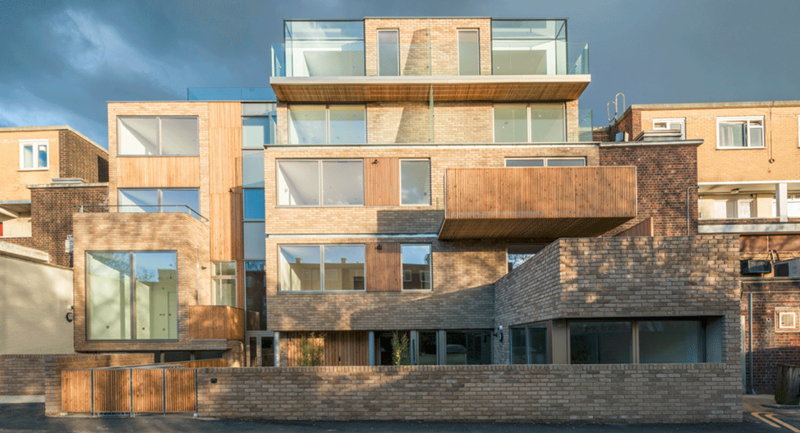 The New Portland arms uses galvanised steel as part of the design of the building to anchor the other materials (untreated Siberian Larch and Normandy Grey brickwork) and express the structure (cantilevered balconies and marking the floor plate). 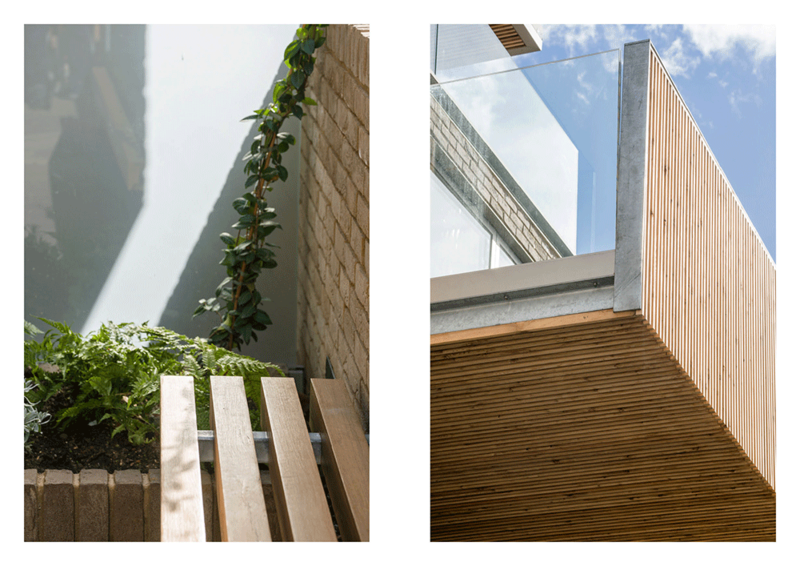 It was used to provide a protective capping and enclosure to the Siberian Larch balustrades and entrance gates, reinforcing the structure and protecting from rain. 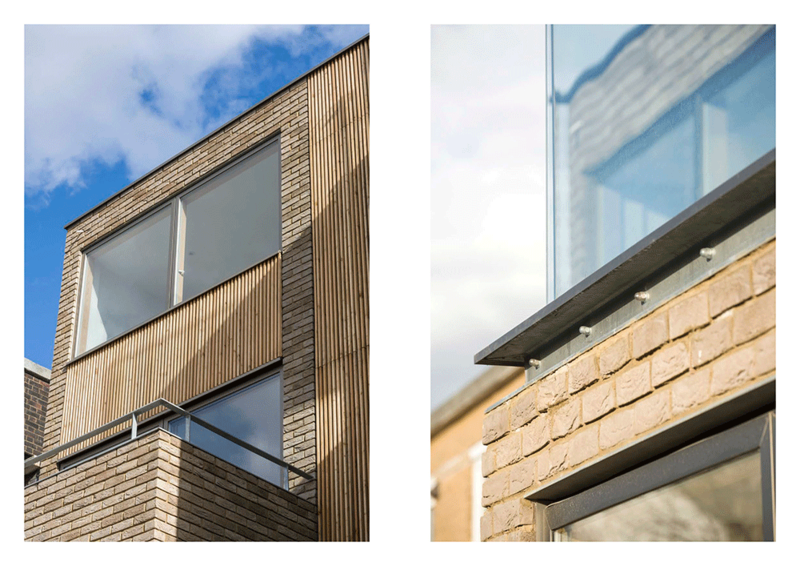 This was also continued over the single skin brickwork balustrades that need reinforcing and a coping detail that was provided by the galvanised mitred and welded flat section.